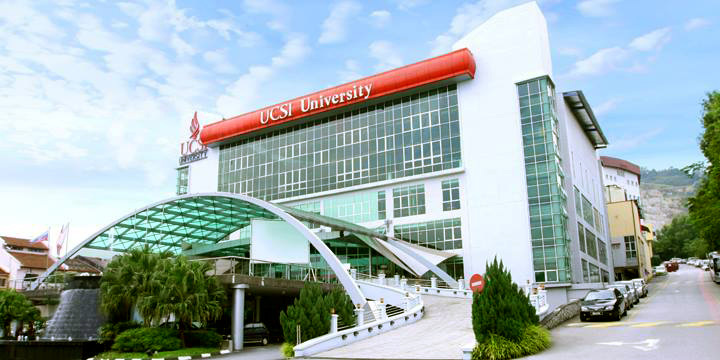 UCSI University began as the Canada Institute of Computer Science, a computer-based training centre located in SS2, Petaling Jaya, after which it became known as Sedaya College, when it was accorded College status in 1989. In 2001, it evolved into Sedaya International College, reflecting its increasing international focus. 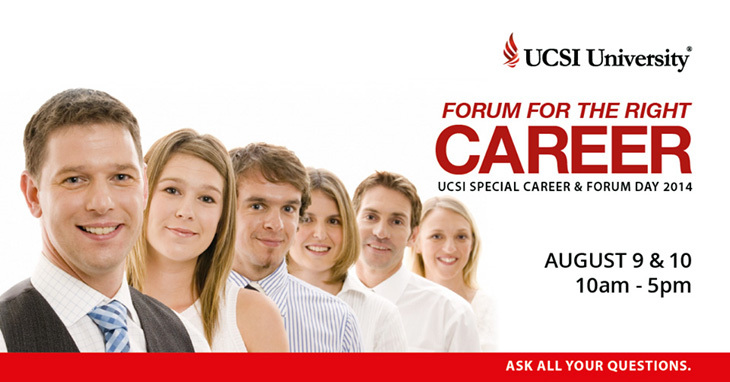 It was accorded university college status in 2003 and received university status in 2008, becoming UCSI University. Situated in Kuching, Sarawak, this campus provides a dynamic and stimulating environment in which to study hospitality, tourism, events management, retailing, industrial relations and international business. The Sarawak campus is strongly linked with the industry's best such as Four Points by Sheraton of Starwood Hotels and Resort Worldwide, Borneo Convention Centre Kuching, Sarawak Tourism Board and many more. This is to ensure that courses remain highly relevant to today demands of the hospitality industry, and allowing for the development of skills that guarantee these graduates employment worldwide. In support of the rapidly developing hospitality and tourism industry in the state, UCSI University Sarawak's own expansion plans are already underway to build a campus and hotel at the mega Kuching Isthmus development site. The UCSI Education Precinct and the UCSI City Island Hotel will be built on 25.5 acres of land, all within the vicinity of the famed Borneo Convention Centre. UCSI University believes in striving for and sustaining excellence by practicing Unwavering Commitment to Serve Intentionally. This philosophy encapsulates the university mission to serve its community of students and scholars with unreserved commitment and with the express intention of providing best-quality education. The essence of this philosophy permeates the university, not only in the provision of "hardware" and "software" for the community of students and staff, but also to the surrounding community and its stake holders. 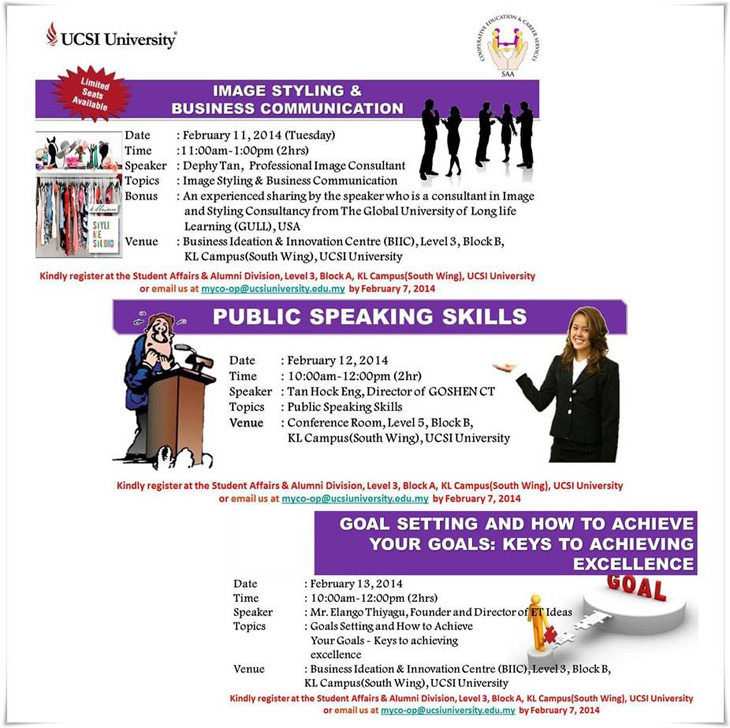 UCSI University presently has three campuses spread out in three different states, equipped with state-of-the-art facilities to meet student needs. Our nine faculties offer a wide spectrum of academic programmes, ranging from Medicine, Pharmacy and Nursing to Music, Multimedia, Liberal Arts and English Language. Situated on a 19-acre piece of land, the campus is located in Cheras, Kuala Lumpur. There is convenient access to numerous facilities including banks, restaurants, transportation services, entertainment, and accommodation. The campus is fully wireless, and is equipped with the latest cutting-edge technology to access the world of e-learning and e-resources. Sporting facilities in this campus include: basketball, badminton and squash courts as well as a gymnasium, a football field and a swimming pool. Other facilities include the four-level library, auditorium, recital hall, multi-purpose halls, computer laboratories, residential halls and cafeterias. Faculty-centric facilities include: the Anatomy & Pathology Museum, clinical skills laboratories, Petrochemical Laboratory, Physiology & Pharmacology Laboratory, Molecular Biology Laboratory, Microbiology Laboratory, fashion design workshops, Psychology Laboratory as well as, drafting and design studios. Due to its rapid expansion, an additional 48-storey building will be built on at the existing campus. The new building will house administrative offices, hostel rooms, hotel suites, restaurants, a ballroom and also a clubhouse. The Terengganu campus in Bukit Khor, Marang (Terengganu), Malaysia, opened its doors in 2007 to medical students undergoing their clinical studies at the Sultanah Nur Zahirah Hospital of Kuala Terengganu. The 56 acres campus also houses the Faculty of Industrial Business and Faculty of Education which offers the Bachelor of Business Administration (Oil and Gas Management), and the Faculty of Education which offers the Foundation in General Studies. A Faculty of Science and Technology is soon to be added, with more programmes for each faculty in the offing. 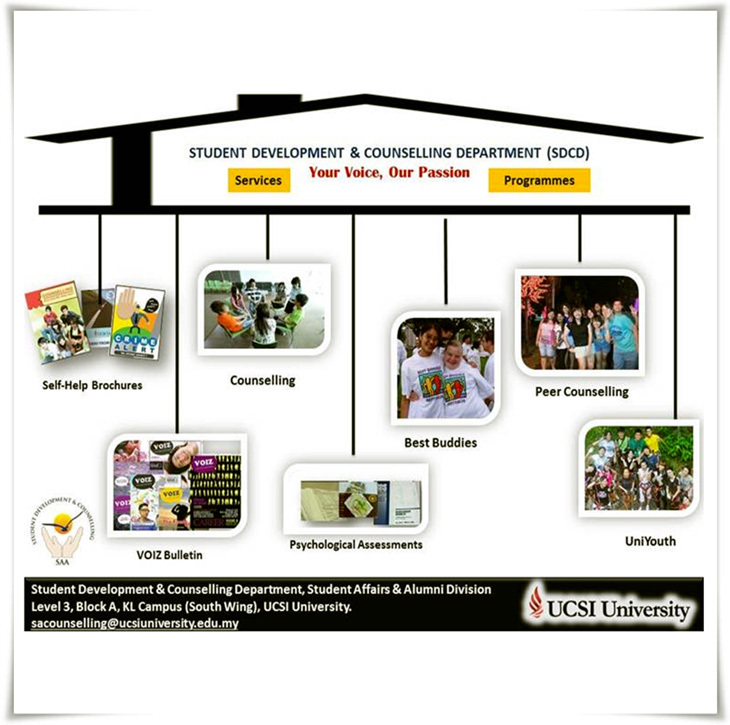 In February 2008, UCSI University entered into an agreement with West Synergy Sdn. Bhd. (a member of The MUI Group) for the establishment of an education township. Covering some 160-acres, it is situated at Bandar Springhill, Negeri Sembilan. The first phase of this township involves the setting up of a brand new state-of-the-art private teaching hospital which would initially have 400 beds, but, would on completion, be able to accommodate 800 beds. The first phase includes the construction of a new building for the University's Faculty of Medical Sciences.